The team, from the University of Leicester Archaeological Services (ULAS), has located a trove of ancient treasures at the site, including eleven complete, or near complete, Iron Age cauldrons, fine ring-headed dress pins, an involuted brooch and a cast copper alloy object known as a 'horn-cap', which may have been part of a ceremonial staff, emphasising the unusual nature of the metalwork assemblage. John Thomas, director of the excavation and Project Officer from the University of Leicester Archaeological Services, said: "Glenfield Park is an exceptional archaeological site, with a fantastic array of finds that highlight this as one of the more important discoveries of recent years. Early occupation of the site during the earlier middle Iron Age (5th - 4th centuries BC) was relatively modest, consisting of a small open settlement that occupied the south-facing, lower slopes of the spur. Slightly later in the middle Iron Age, indicated to be in the 4th or 3rd centuries BC by radiocarbon dating, the settlement underwent striking changes in character. Individual roundhouses were now enclosed, there was far more evidence for material culture, and rituals associated with the settlement involved apparently deliberate burial of a striking assemblage of metalwork. "It is the metalwork assemblage that really sets this settlement apart. The quantity and quality of the finds far outshines most of the other contemporary assemblages from the area, and its composition is almost unparalleled. 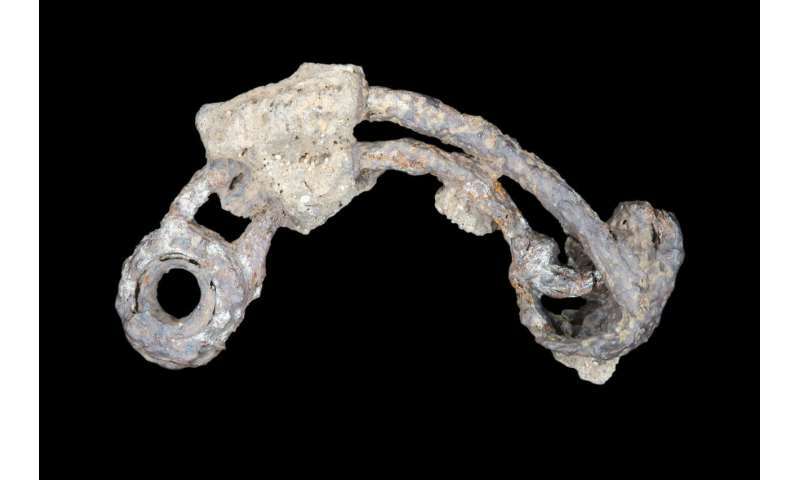 The cauldron assemblage in particular makes this a nationally important discovery. 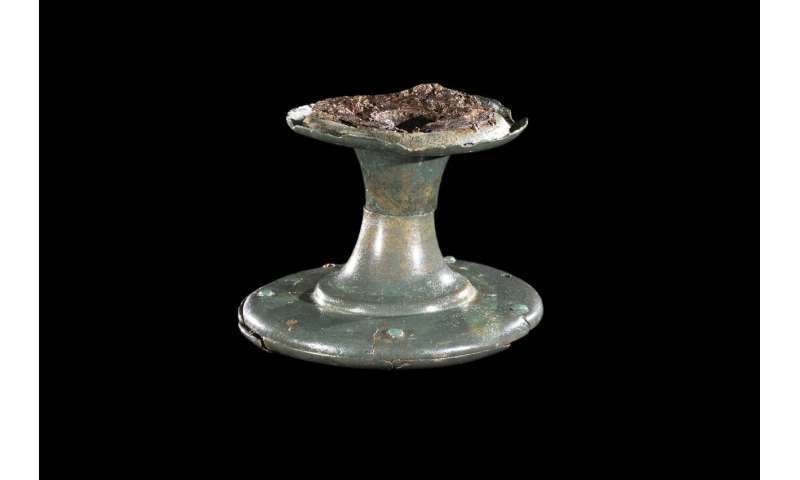 "They represent the most northerly discovery of such objects on mainland Britain and the only find of this type of cauldron in the East Midlands." John said: "Due to their large capacity it is thought that Iron Age cauldrons were reserved for special occasions and would have been important social objects, forming the centrepiece of major feasts, perhaps in association with large gatherings and events. "The importance of cauldrons as symbolic objects is reflected in their frequent appearance in early medieval Irish and Welsh literature, which has been drawn upon in studies of Iron Age society. 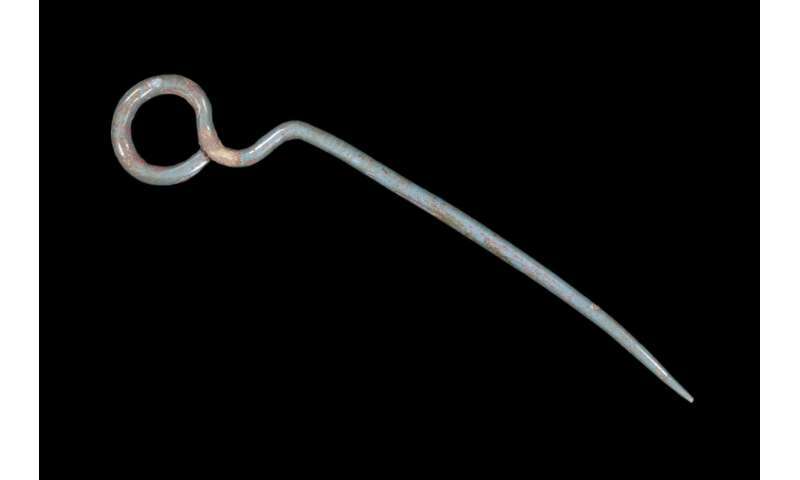 They are rarely found in large numbers and, with the exception of a discovery in Chiseldon, where 17 cauldrons were found in a pit, there have been few excavated examples in recent years." Dr Andrew Gogbashian, Consultant Radiologist at Paul Strickland Scanner Centre, said: "We have the latest CT scanning technology and using our medical imaging skills and experience to contribute to such a significant archaeological discovery is a real privilege." One example is on a complete cauldron, which has raised stem and leaf motifs on the vessels iron band, close to the handle locations, which are similar to the so-called 'Vegetal Style' of Celtic art, generally dated to the 4th century BC. Another example of decoration has been identified on a small copper alloy bowl fragment, which has a domed rivet or raised boss decoration, suggesting that some of the bowls carried decoration too. Liz Barham, Senior Conservator at MOLA said: "Already we have been able to uncover glimpses of the detailed histories of these cauldrons through CT scanning, including evidence of their manufacture and repair, and have identified sooty residues still clinging to the base of one of the cauldrons from the last time it was suspended over a fire. During the upcoming conservation we hope to discover much more about the entire assemblage. If we're lucky, we may even find food residues from the last time they were used - over 2000 years ago." John added: "The settlement itself adds considerable information on the establishment, growth and development of long-lived Iron Age settlements in the East Midlands, and offers new insights into the role of these well-established communities."